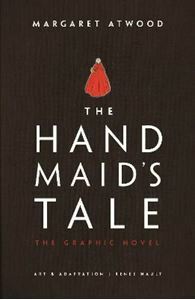 Quick overview Provocative, startling, prophetic, and more relevant than ever, The Handmaid's Tale has become a global phenomenon. Provocative, startling, prophetic, and more relevant than ever, The Handmaid's Tale has become a global phenomenon. Now, in this stunning graphic novel edition of Margaret Atwood's modern classic, the terrifying reality of Gilead is brought to vivid life like never before. "Everything Handmaids wear is red: the colour of blood, which defines us." Offred is a Handmaid in the Republic of Gilead, where women are prohibited from holding jobs, reading, and forming friendships. She serves in the household of the Commander and his wife, and under the new social order she has only one purpose: once a month, she must lie on her back and pray that the Commander makes her pregnant, ecause in an age of declining births, Offred and the other Handmaids are valued only if they are fertile. But Offred remembers the years before Gilead, when she was an independent woman who had a job, a family, and a name of her own. Now, her memories and her will to survive are acts of rebellion. The Handmaid's Tale and its iconic images - the red of the Handmaids, the blue of the Wives, the looming ileadean Eye - have been adapted into a film, an opera, a ballet, and multi-award-winning TV series. This groundbreaking new graphic novel edition, adapted and featuring arresting artwork by Renee Nault, is destined to become a classic in its own right.